Admission to the degree course in this college is made on merit basis in consideration of the results of H.S. or equivalent (10+2) examination conducted by any Council /Board recognized by the University– as per university guidelines. For admission to Honours courses, Merit Point is to be calculated by adding 10% of the total marks obtained in the ‘Best five’ subjects excluding Environmental Studies and the marks obtained in the subject or related subject in which the admission in Honours course is sought. 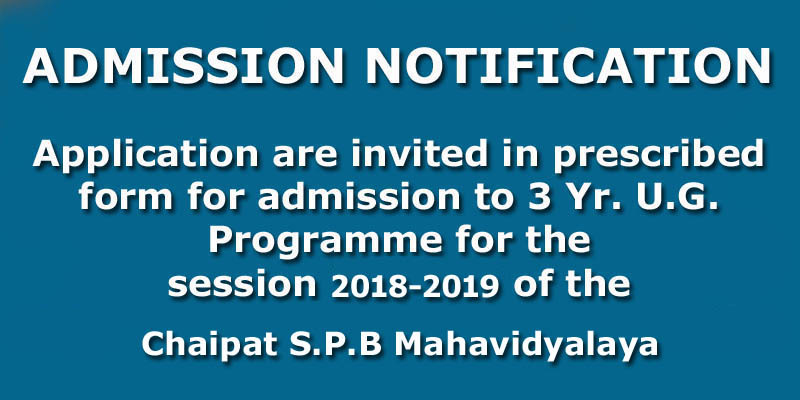 Merit Point for admission to General Course is to be calculated by adding the marks obtained in ‘Best five’ subjects excluding Environmental Studies. No student will be allowed for admission into 1st year during 2018-19 academic sessions who passed HS Examination in 2015 as per UG regulation. Only 2016, 2017 & 2018 HS passed candidate will be allowed for admission into 1st year academic session 2018-19. If the candidate admitted earlier in the college but unsuccessful & lost all chances in Part-I, those candidates may be permitted for admission into 1st year (session: 2018-19) after taking Special permission from University authority [as for example, the student who passed HS in 2015 and unsuccessful in 2016 & 2017, he/she may be permitted after taking special permission for admission in 1st year (session: 2018-19)]. Special permission must be obtained from the Secretary, UG Council, Vidyasagar University. Prayer of special permission for admission forwarded by the college to be received at the University: 08- 06-2018 to 20-06-2018. Reservation of seats for SC/ST/PH Candidates as per Govt. rules. All Application should be made online. After online submission of forms, candidates must Pay the requisite fee of Rs. 160/- (Including Bank Charge) by clicking PAY NOW button. Do not submit any Printout or Fee at the College. After the publication of Merit List the selected candidates must bring THE PRINTOUT OF THE APPLICATION FORM, Receipt copy of the payment of application fees issued by bank, ORIGINAL & PHOTO COPIES OF ALL TESTIMONIALS on the day of admission. ** Forms with incomplete / wrong information will be summarily rejected. At the time of admission a Print – out of the application submitted on-line earlier must be submitted along with the attested copies of the following documents. One attested copy of Madhyamik/Equivalent Admit Card. (Age proof certificate). 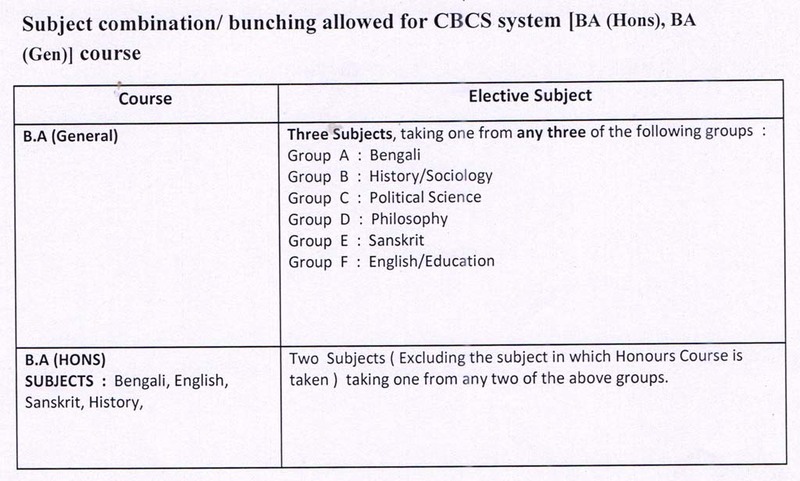 One attested copy of Madhyamik/Equivalent Mark sheet. One attested copy of H.S. (10+2)/Equivalent Mark sheet. One attested copy of character certificate of the institution last attended. One attested copy of SC/ST/OBC/PH certificates in case of such candidates. One copy of self-authenticated recent passport size Photograph of the candidate. For necessary verification of the aforesaid documents, all the relevant original copies are to be produced.